The plane touched down at JFK. 1. Get to Jody’s place. 3. Check out Hercules’ place and decide if it was the store we were going to buy out. We hung about for a few minutes and surveyed the scene inbetween happy conversation with Hercules. Small store. Lots of beer. Really, really nice imported beer. Jody had a stunned look on her face. She turned on her heels and walked back inside alone. A few minutes later she came back out and said, “June 3rd.” We looked at each other and agreed right there on the spot. We we’re going to buy everything in Hercules’ store. It was May 17. We had to move fast. 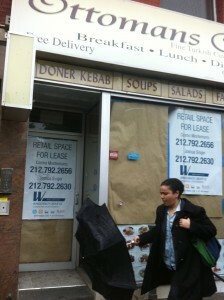 Hercules Fancy Grocery is where it was going to go down. But that was just half of it. What would we do with all off the stuff after we bought it? We had a rough idea to turn it into art. But what kind of art? And where would we put it all together? The phone rang. It was Hal. We told him about Hercules. “Nice!” he said. We agreed to meet up at The Blind Tiger for a drink and so everyone could meet each other. 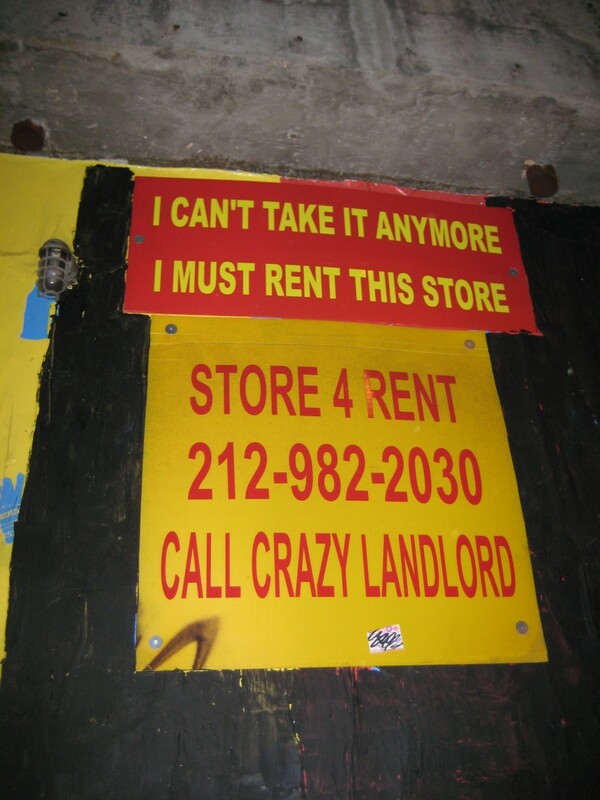 The idea to rent out a vacant store came up. Gary said, “We should look for a store.” I spun around. Right across the street was a vacant store. 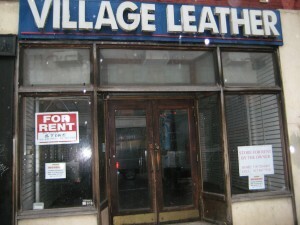 ‘Store For Rent’ said the sign. I darted out into traffic and ran towards the sign. There was a phone number. I called it. Straight to message. I left a message. 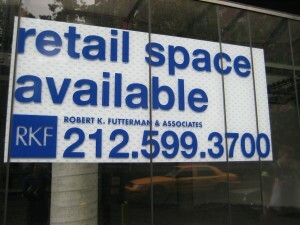 We fanned out and scoured the West Village in search of vacant retail space. A ten minute search turned some promising leads. It was 6pm. We figured out work for the day was done so we tucked into The Blind Tiger for some frothy suds. Hal showed up. I introduced him to the gang and we filled him in. “This is great. I’m going to scope out the store.” 5 minutes later he walked back in. “It’s perfect.” he said. We raised our glasses. We’d found the perfect store to buyout. All we needed now was a gallery space for the art. It was almost too easy! The next morning we woke up with a clear goal in mind. 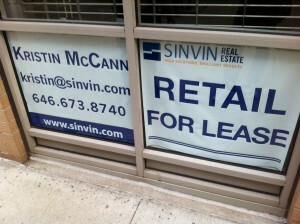 Find a vacant retail space to rent for a pop up gallery. Torrential rains fell as we traipsed around the West Village. Cars sped into standing water up to our ankles. Giant puddles filled the sky. We met up at the end of the day. “Anything?” Some leads…nothing concrete. Most places are owned by companies that don’t want to rent for a short term to a bunch of soaked pedestrians. Five people sitting around a table talking about how they were going to convince an art gallery owner to take on our exhibit. An exhibit that was still completely in our imaginations. It was pretty awesome. I’d told my friend Mat Dore we were going to buy out a store on Friday, and he should come down to be part of it all. He was driving down from Montreal as we ate. I looked around at everyone. “We flew here on one way tickets. We said we’re going to do this. Mat is going to arrive in an hour. We’re all here. It might take weeks to find a space. But we need to just go and buy out a store. Let’s buy the store out tomorrow. Hal lined up a couple of guys from Boston who could help film the store buyout. They were ready to drive down in the morning. Tomorrow at 10 we’d go down Hercules Fancy Grocery and suss things out. I’d always imagined to buy out a store on credit. We’d just walk in, take everything out of the store, and then swipe a card. But Hercules only accepted cash. I walked into the TD bank at 86th and Columbus, swiped my credit card, and withdrew $5000 as a cash advance, the maximum daily limit. The next day I went back and did it again. That cash was split up between multiple bags. I had some, so did Mat and Fiddy. Getting mugged with $10,000 cash isn’t the kind of thing I’m into. On Friday May the 20th my grandpa turned 85 years old. 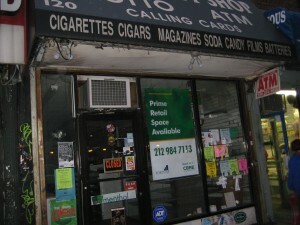 I had $10,000 in a briefcase and was about to buy everything in a corner store. At 10am Mat and I were back at Ed’s Martian book. We helped Andrew and Alex load up boxes of books and bookshelves into the U-haul van. Jody, Hal, Fiddy and the camera crew from Boston assembled in the street just around the corner from Hercules’ store. We figured the move would take an hour or so, but at 12:30 we’d only just crossed the Manhattan Bridge on our way to a storage facility in Brooklyn. Andrew said, “Maybe you guys should hop on the subway and head back over to Hercules’ place.” I weighed the options. We needed the van for our purchased items. “We’ll help you guys. It’ll go super fast with four of us.” By 1:30 we realized we’d underestimated the move. CNN was on the street outside Herc’s Fancy Grocery checking their watch and we were out in Brooklyn lifting literally tons of books into a self-storage locker. I’d just taken out $10,000 in cash advances on my credit card and was ready to purchase everything in a corner store at full retail prices, but it seemed perfectly reasonable to make things completely awkward for everyone in an attempt to save $50 on a U-haul rental. Reason will lead you to some pretty weird places if you let it. What we we thinking? Mat and I ran down into the subway. We arrived at the intersection of Bedford and 7th Ave as the clock struck two. A very relieved Jody, Hal, Fiddy and CNN sighed in relief. It was an interesting scene. A group of about 10 people milled about on the sidewalk around the corner from HFG, just out of sight. Rain fell. None of us had really slept. We looked pretty rugged. We had a rough plan of how it was going to go down. The U-Haul pulled up 15 minutes later, fancifully parked in a no parking zone. A wall of cameras stared at us. We stared back. There was no turning back now. It was going down. I looked into the camera and said, “This is Store Buyout. We’ve got this briefcase filled with cash.” Fiddy snapped the briefcase open to reveal the stacks of cash. 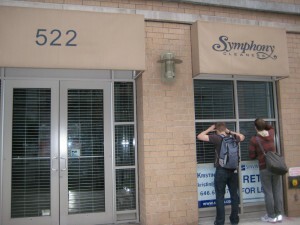 We closed the briefcase, turned the corner, and walked into the store. Hey. It’s Kyle. All ideas start somewhere. 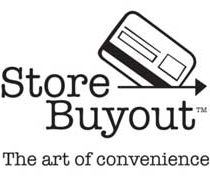 Here’s how Store Buyout came about. December, 2006. Jody, Fiddy and I were in a hot tub in Hawaii with a bunch of friends and family. It was the end of a crazy year. I’d just traded up from a red paperclip to a house. My brother Scott and our buddy Fiddy had just hitchhiked to 50 states in 50 days. Jody had traded a year of rent for a recording contract. She’d just finished recording her album, Pivot. Anything was possible. The ideas flowed like the beers. As the beers went down, the possibilities went up. As the years went on, the idea to buy out a store literally possessed me from time to time. I continually brought up the idea. Fiddy and I wrote ideas about how we could make it happen. But we always hit a wall financially or creatively. “Why are we going to do this?” The answer for me was always “Why not?! !” which i’m all about, but financial backers and collaborators often want crazy things, like reasons or a business plan. But when I met an Australian creative named Hal Kirkland, all of that began to change. 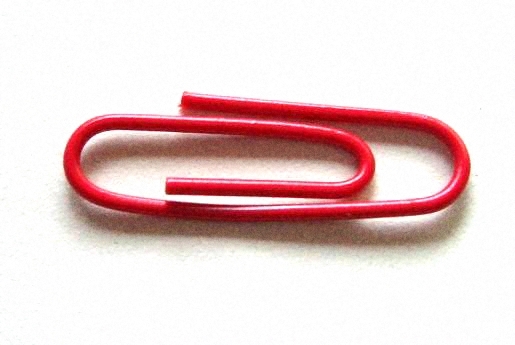 I’d met Hal initially after being asked to tell the one red paperclip story to a bunch of creative directors at an advertising festival in Montreal. Hal’s an Aussie living in New York. He’s got crazy good track record of work. His words have appeared on ads in Times Square, he’s directed a Snoop Dogg video, he’s designed cereal boxes, the list goes on. He’s one of the directors behind the amazing video for Japanese band Sour, Hibi No Neiro, a video I’d only just become aware of…3.5 million views after everybody else. Two weeks later I found myself in New York on a restaurant patio with Hal. “I’ve got this idea to buy everything in a store.” Many cups of strong tea later the plan emerged. Hal could assemble a team of talented people to film the event. He could turn the products from the store into art. He could design a logo. Hal could choose a font. Hal could pretty much do everything I had no idea about. Hal was about to leave his job in advertising to focus on projects he was excited about. “I’m really excited about this project”, he said. I’d met the perfect guy at the perfect time. At Jody’s place in New York I explained the idea to her. “Count me in if you’re going to do it.” We pinky swore on it. Few people on earth are as resourceful as Jody. She truly makes things happen. I’d also recently met up with Gary Lachance. Gary’s one of the founding fathers of the Decentralized Dance Party, or The DDP. DDPs are your wildest party dream come true. Gary hooks up his iPod to a portable FM transmitter and creates a mobile party radio station. He then hands out hundreds of battery powered boomboxes, tunes them to the radio station, cranks the boomboxes to 11, and thousands of people show up. The party then goes where no parties have gone before. It’s the funnest mobile party the streets have ever seen. Gary isn’t one of those guys who has “No” in their vocabulary, needless to say he was a perfect partner for this kind of operation. 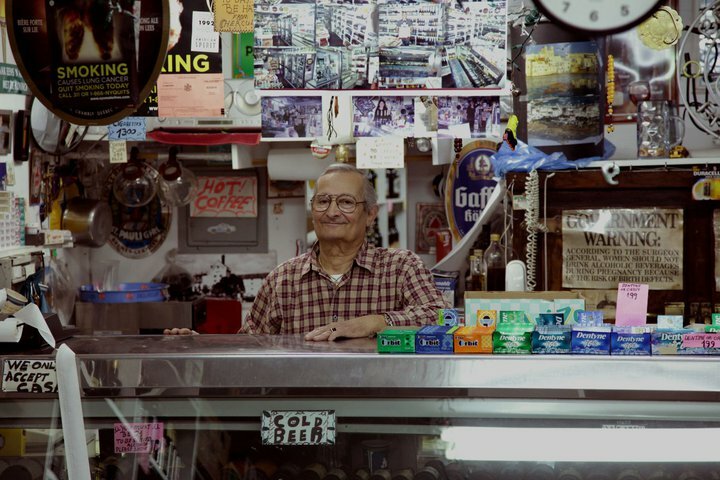 We didn’t know much about the store, but Jody said Hercules is one of the neighborhood’s, if not the city’s, favorite people. He was going through a hard patch. I’d always just planned to walk into some random store and buy everything. The person ringing up the items was never that central to the idea. But maybe we could help Hercules. Everyone agreed. Herc’s might just be the store to buy out. We had to see the store firsthand to be sure. I had a rough idea of how much it’d cost to buy out a corner store, and wanted to work within the boundaries of my available credit. If Hercules Fancy Grocery had too much stock, the deal was off. We’d kept our mouths shut and began to scheme behind the scenes. The element of surprise was key to our plan. A group Skype call later and we decided to turn all of the items from the store buyout into art. It’d be a fun thing to do. An interesting creative challenge. 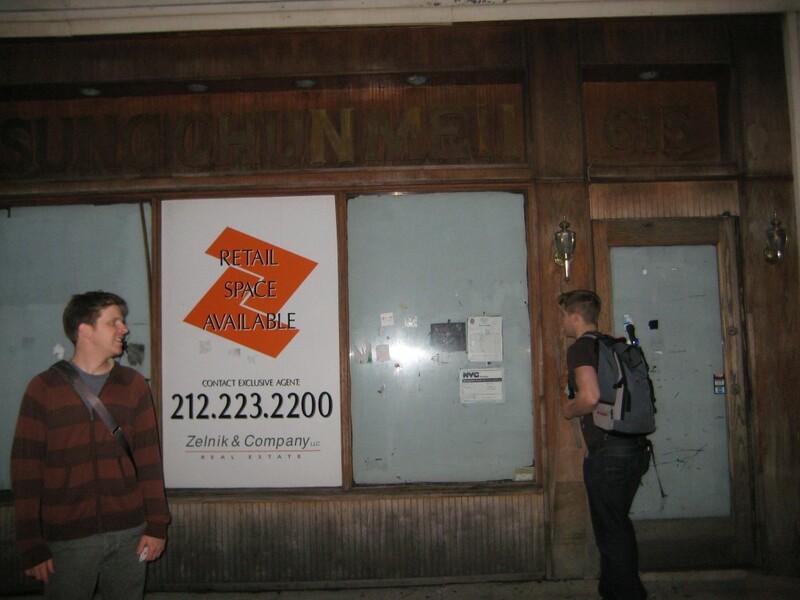 We’d find some vacant retail space or an art gallery and show items from Hercules’ store. Maybe we could make back the original expense of the project and even help Hercules out. It was possible. The only way to find out was to try. I whipped out my credit card and bought three one way tickets to New York City. I’d bring the enthusiasm and the credit card. The real work would be handled by people who knew what they were doing.